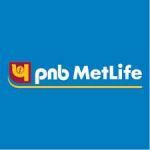 PNB MetLife India Insurance is one of the top 10 Life Insurance companies in India. They cater to their clients through a multi-channel distribution network across the whole country. They provide an end-to-end customer-centric experience to the evolving needs of Indian customers through a comprehensive product portfolio. They mainly cater to the needs of savings, protection and pension of their customers. As per CRISIL Report, in terms of total premium in fiscal 2018, PNB MetLife India Insurance Company is one of the top 10 life insurance companies in India. The company showed individual new business premium increased at a compounded annual growth rate of 20.25% from the financial year ended March 31, 2015, to the financial year ended March 31, 2018. The insurance company is now coming up with an IPO to raise funds for specific business requirements (more on that later). PNB MetLife IPO will open on (undisclosed) and close for subscription on (undisclosed). The IPO consists of an offer for sale of up to 495,898,076 Equity shares and the face value of each share will be ₹10. Up to 6,289,461 equity shares, aggregating up to ₹(undisclosed) million are being offered by Manimaya Holdings Private Limited. Out of the total shares, not less than 173,564,327 equity shares will be allocated for retail investors which are equivalent to 24.64% of the total equity stake. The price band range has been set at ₹(undisclosed) – ₹(undisclosed) per share. The offer price is (undisclosed) times the face value of the equity shares. The IPO size is expected to be up to ₹2000 Crore to ₹2500 Crore. With this offering size, the company will be valued in the range of ₹10,000 Crore. Pursuant to a resolution dated October 10, 2017 and June 14, 2018, the offer has been authorised by the Board of Directors. All the selling shareholders have confirmed and authorised their participation in the offer through their consent letters dated July 26, 2018. The total premium collected by the company increased by 22.17% from ₹32,360.80 million in fiscal 2017 to ₹39,535.11 million in fiscal 2018, whereas the total premium increased by 14.44% from fiscal 2016 to fiscal 2017. The Return on Net Worth of the company for the fiscal years ended March 31, 2016, 2017 and 2018 is 8.5%, 11.73% and 14.11% respectively. The EPS of the company has been rising consistently over the last 3 years. The proceeds of the IPO will not be received by the company. The selling shareholders will receive the proceeds and the company will be benefitted in terms of enhanced corporate image, brand name and increased visibility. PNB MetLife India Insurance Company Limited filed the Draft Red Herring Prospectus (DRHP) with the Securities and Exchange Board of India (SEBI) on July 26, 2018, for the 100% Book Building offer. The offer will open on (undisclosed) and close on (undisclosed). Before deciding whether the invest in PNB MetLife IPO or not, let us discuss some of the key strengths and risks related to the company. One of their biggest strengths is their strong distribution network which helps them to reach geographically and demographically broad Indian client base. As of December 31, 2017, PNB MetLife India Insurance Company was the 2nd largest bancassurance platform in India as they had a large number of scheduled bank branches in India. Their direct sales and agency sales channels help them to cater to customers situated in the metro, and urban and semi-urban areas of the country. Also, the company’s agency sales channel has 6,452 exclusive agents which are hired on contracts to sell their life insurance products. Their other key strength is their large number of products designed to suit the needs and requirements of their varied customers. Also, they complement their portfolio of products with a great user experience that is enhanced by digitization and technology and support processes. They have taken a lot of initiatives in order to improve their profitability like improving their operating expense ratio from 24.53% in Fiscal 2015 to 20.61% in Fiscal 2018. And one of the most important strengths of the company is their experienced management team which has complete in-depth knowledge about the industry. Now, let us discuss some of the company’s business related risks. One of the biggest risks for the company is dependence on PNB in several respects. Any adverse changes in their relationship with PNB might negatively affect the company’s performance and profitability. If they are unable to deliver products required by customers at different life stages in different geographies in India, this might affect the future profitability of the company. The largest distribution channel of the company is bancassurance and therefore, its growth and profitability is dependent on the company’s bancassurance partners like PNB, JKB and KBL. If their efforts are not able to increase operational efficiency as expected, it may affect the company’s future profitability. The business and financial condition of the company is dependent on management’s estimates of items like returns, expenses, operating costs, etc. and if there is a huge gap between the management’s estimates and actual figures, it could adversely affect the business. The dependence on certain major products for a significant amount of their revenues also poses a risk to the company. The company, its promoters, Directors, etc. are involved in certain legal proceedings and any adverse ruling in them may pose a risk to the overall profitability of the company. Also, changes in market interest rates may also negatively affect the business and profitability of the company. After analysing various aspects of the company, it may be said that investors may choose to subscribe to PNB MetLife IPO. Currently, there are 16 Directors on the Board of PNB MetLife India Insurance Company Limited. Mr Lyndon Emanuel Oliver is the Chairman and Non – Executive Director. Mr Ashish Kumar Srivastava is the Managing Director and Chief Executive Officer, Mr Bharat Raj Kannan, Mr Sunil Mehta, Mr Lingam Venkata Prabhakar, Mr Pheroze Kersasp Mistry, Mr Surbhit Dabriwala and Mr Erach Kotwal are the Non – Executive Directors, Ms Anisha Motwani, Dr Archana Niranjan Hingorani, Mr Neeraj Swaroop, Mr Sunil Gulati, Mr Nitin Chopra, Ms Sonu Bhasin, Mr Abhaya Prasad Hota and Mr Joginder Pal Dua are the Independent Directors of PNB MetLife India Insurance Company Limited. He is a graduate in Science and has a Master’s Degree in administration from the University of Alabama, USA. He is also qualified with the Board of Accountancy as a Certified Public Accountant, in Florida, USA. He has been on the Board of PNB MetLife since August 10, 2016. Kotak Mahindra Capital Company Limited, DSP Merrill Lynch Limited, Citigroup Global Markets India Private Limited and PNB Investment Services Limited are acting as Book Running Lead Manager to the issue. Link Intime India Private Limited is acting as the Registrar for the PNB MetLife IPO.